I remember how everyone got quiet, okay? Quiet...and still. Like they were all connected to me. All a part of me. Even Dad and Barry – I looked out, even they were...seeing me. I mean, really seeing me. And at the end of the show, when I stepped forward to take my bow the applause was—was— It was deafening. In a little high school auditorium. It was deafening and — Dad and Barry were applauding with the rest of them. They had these big smiles on their faces. Afterwards Dad took us out to dinner. And I was thinking, this is it, ya know. He’s finally seen what they all see. We sit down. The first words out of his mouth are “Sure, you were OK, but I’m not really sure you’ve got the movie star look. Take Annette Benning – she’s real tall, isn’t she, Barry?” “Oh yeah, Liv,” Barry says, “movie stars are real tall.” So I’m like, “What about Marilyn Monroe? She was short.” And Dad just looks at Barry and says “Now she thinks she’s Marilyn Monroe.” And they just laugh and laugh. Dad wanted me to come work at the Techno-Hut. He didn’t want me to leave. You ask me if I’m truly happy having stayed? I don’t know. I live a good life here. 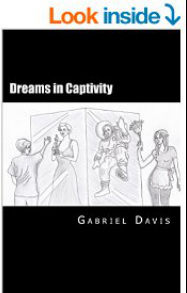 This monologue is from the play Dreams in Captivity, available in print and digital editions. ​Get Stage Agent's guide to the play here.